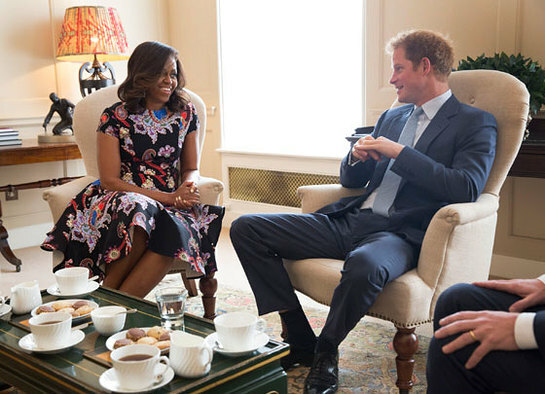 Prince Harry was very pleased to host The First Lady of the United States Mrs Michelle Obama for tea at Kensington Palace this morning. They discussed their shared interest in support for veterans and their families. His Royal Highness was also interested to hear from the First Lady about the Let Girls Learn initiative to further adolescent girls’ education around the world, which is the focus of her visit to the United Kingdom.